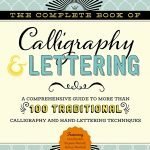 Hand Lettering is made so much easier with this fantastic book! Check it out and enter to win your own! 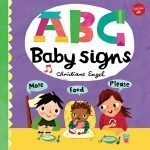 Hurry, giveaway ends January 31st! Calligraphy is a beautiful way of writing which is why we spend tons of money on décor and cards with beautiful scripts scrawled on them! However, in this world of DIY love (I mean, every crafty person and then some have Pinterest right?) we can easily learn to do amazing projects all on our own! It’s much more special when it’s hand made anyway! So, why not put that on your list and learn a new skill? 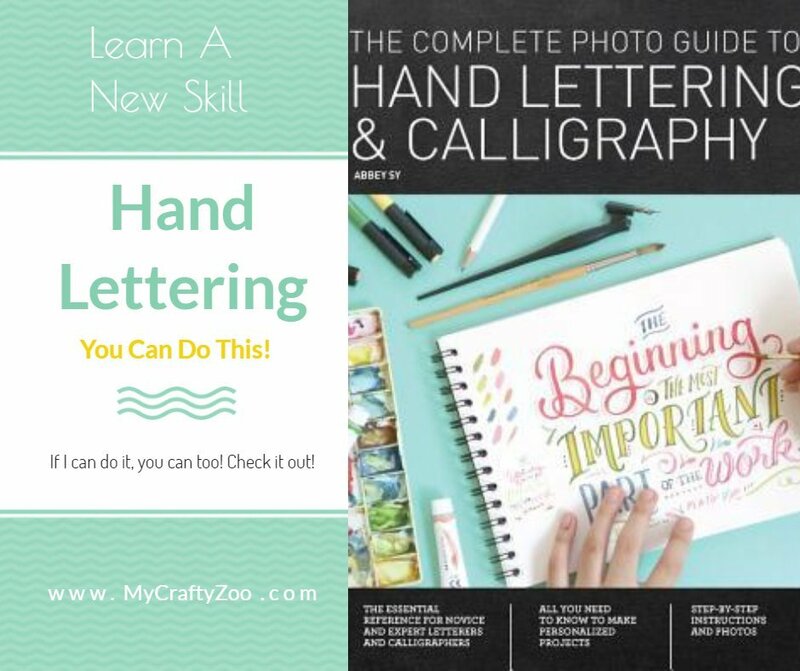 The Complete Photo Guide to Hand Lettering & Calligraphy is a fantastic way to learn how to write Calligraphy and do hand lettering! 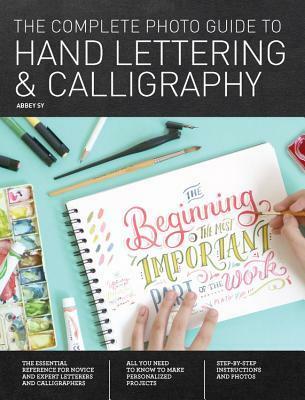 I love the photo tutorials throughout the book and the extra features, such as how to do flourishes, where to add them, what pens to use, practice sheets with various calligraphy and fonts! 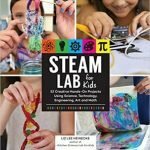 There are some great projects in the book as well! There are step by step, photo and written instructions that are clear and easy to follow. Such as personalized totes, DIY Phone Cases, notebook covers, and more! My personal favorites are the decorative plates and wood slats. 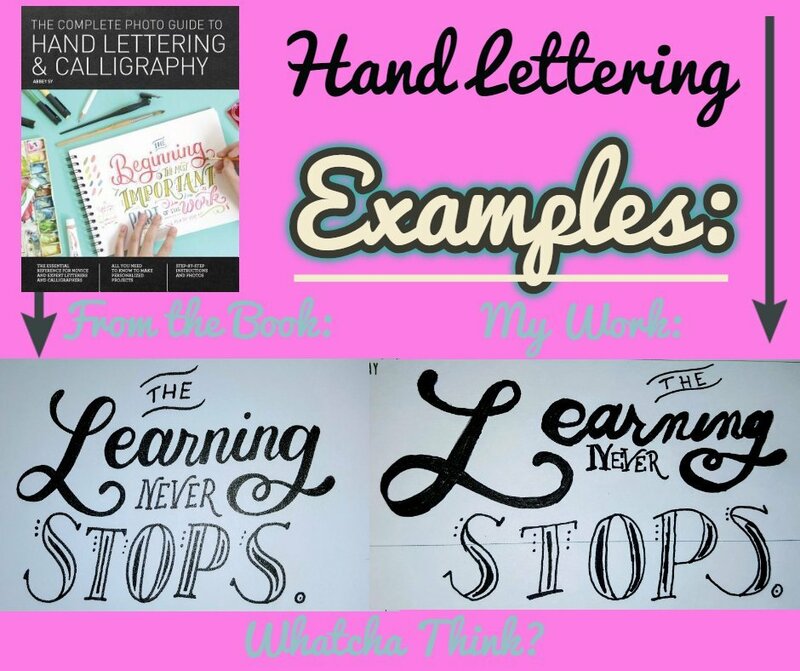 There is also an entire chapter on how to do digital lettering. Specifically, they give Adobe instructions, step by step. However, if you use a different software I believe it could easily be done in other software applications. Gimp is a free photo editing software that I’ve been told is just like Adobe but costs nothing! All in all, this book is a great addition to my collection! You may have seen my other post about the previous calligraphy book recently. If not, and you are interested in learning it, check it out for sure! Between the two books, I’ve learned a ton and am enjoying it immensely! Definitely looking forward to spending some time making gifts for next year, once I get it down to my liking. Here’s one of my practice projects. Not quite where I want it to be quite yet, but I was proud as I did this without tracing! 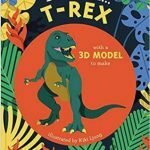 This book is part of our 2019 Valentine’s Day Gift Guide! 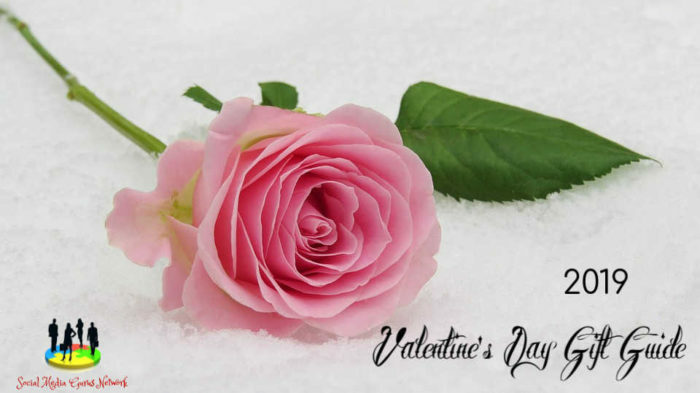 Check it out and find all of our fantastic products! ← Beef Noodle Tallerine – An Okie #Recipe! I like “Artisan Cake Company’s Visual Guide to Cake Decorating”.